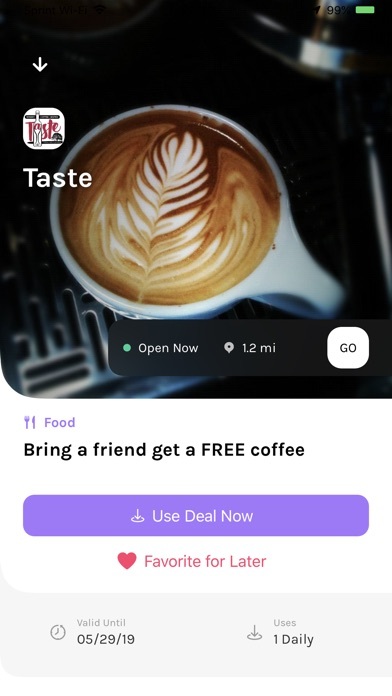 Bidly hooks you up with the best deals in your area. 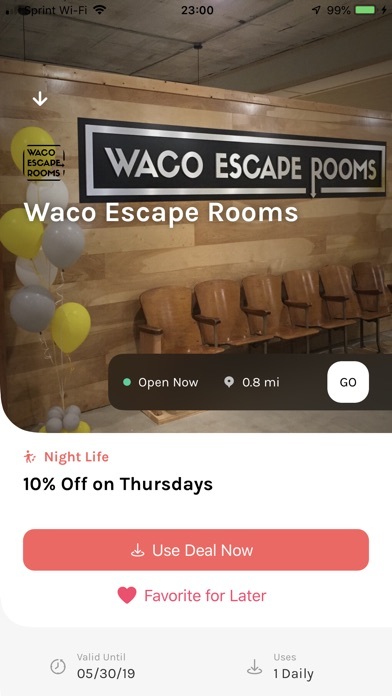 Whether it be FREE queso from your favorite Mexican restaurant to a FREE day pass at your local yoga studio to FREE cover at the hottest bar in town, Bidly has you covered! 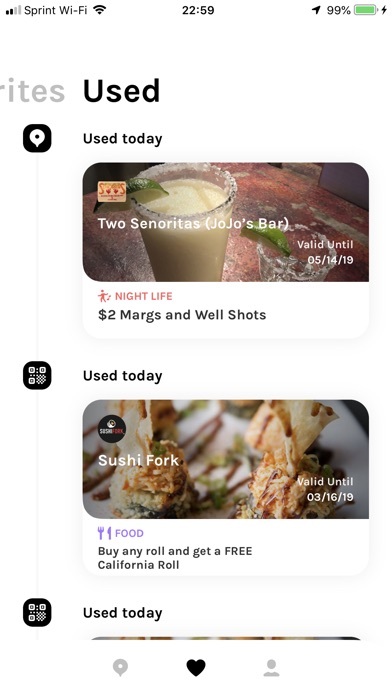 Bidly has 6 Categories to search by: -Food -Nightlife -Entertainment -Fitness -Services -Retail Why Bidly? -Have an indecisive significant other who can never decide where to eat? We’ve got the options! -Have no money? We have FREE deals! -Don’t like putting in your credit card to unknown apps? No Credit Card required! -Just too lazy to find deals? 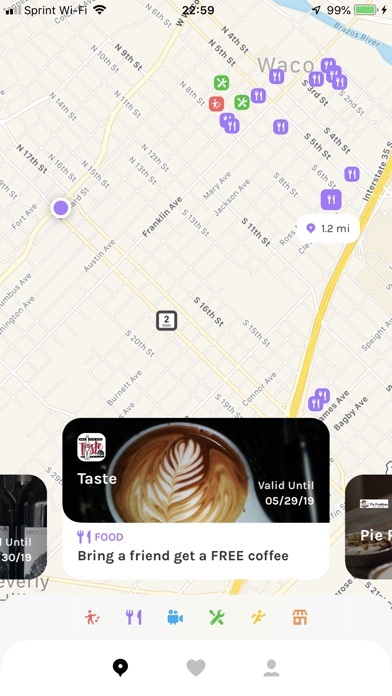 Using geo-location, the platform will send you push notifications letting you know when deals are near so you don’t even have to do any work! 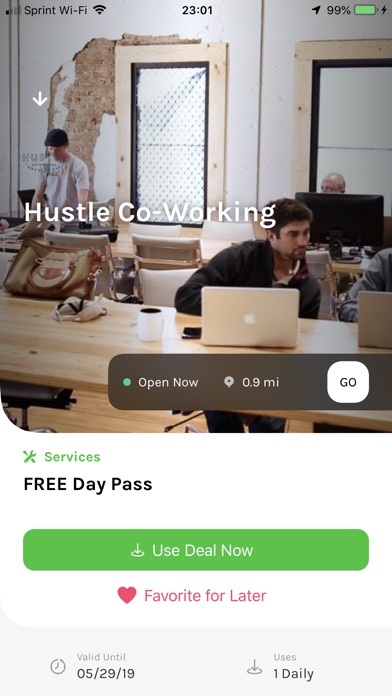 Bidly Business: If you are interested in becoming a business on Bidly, check out our website to become registered to boost your business! 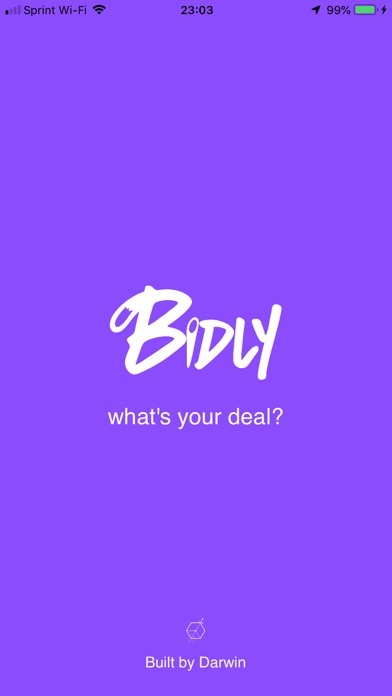 www.bidlyapp.com What’s YOUR deal? Bidly is a great app overall. Not only does it save me time, but it saves me money on transportation. If I need something, it’s at my door within minutes. Extremely useful app for any young person/college student trying to buy/sell items fast and for affordable prices. You need to get it!